S 2/c Earl E. Kinder, son of Mr. and Mrs. H.S. Kinder, attended Hollister School and Frederick Jr. College; husband of the former Earlene Clark. 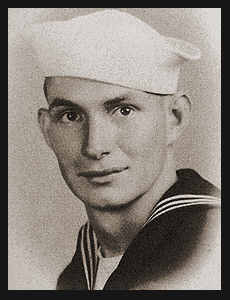 Entered Navy in Aug., 1945, trained in San Diego, Cal. and New Orleans, La. where he is now on duty.